3D measurement of reflection optics in automotive glass now en-ables fully objective assessment of products inline. This allows glass manufacturers to meet the new requirements from the au-tomotive sector with optimum reliability. 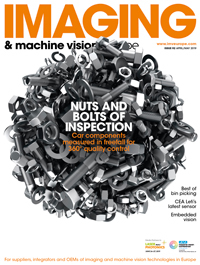 Technology such as head-up displays and driver assistance systems are setting new quality standards, which can be efficiently guaranteed through automatic inline inspection. In the past, fully automatic measurement of reflective surfaces such as windshields was a particular challenge, often with subjective results and inefficient processes. The SCREENSCAN Reflected Distortion system makes this a thing of the past thanks to precise measurement of the surface curvature under production conditions – even inline. The method is based on the patented deflectometry technology, which has the advantage that curvature data can be calculated very quickly and easily, with the highest precision regardless of position. Thanks to pipeline processing, the panes can be measured at typical production speed. In doing so, the system compares the measurement with setpoint values from CAD data, thus enabling customer specifications to be met reliably. Specific inspection areas can also be defined, depending on where the pane is to be used: as a windshield, rear light, sidelight or sunroof. Particularly high quality is required for windshields – after all, defects here would impede the view of the driver in road traffic, pre-senting a significant safety risk. Plus, the demands are becoming ever tougher: New functions such as head-up displays (HUDs) integrated into windshields are already available in many equipment lines and will soon be a standard feature. HUDs require an even curvature that cor-responds to the specified 3D model. In HUDs, deviations in the curva-ture can result in the driver seeing the projected image twice or the im-age being distorted. This is a critical feature in terms of safety, as HUDs form part of the driver assistance system that ought to enable the driver to concentrate better on traffic. Alongside dependable quality assurance through reliable, objective and repeatable measurement results in both diopters and radius, SCREENSCAN Reflected Distortion enables fast and precise data col-lection for optimizing processes. The result is an increase in both product quality and process efficiency. Analytic tools evaluate the col-lected data and allow conclusions to be drawn regarding potential for optimization. ISRA offers the right inspection and measurement solution for every stage of automotive glass production. In addition to SCREENSCAN Reflected Distortion, these include PRINTSCAN for inline screen print-ing inspection, which detects missing points and interruptions, for ex-ample in rear windshield defrosters. For the first time, it also makes the complete inspection of print quality possible without costing cycle time.